This week in North Philly Notes, we celebrate University Press Week! The theme of University Press Week 2016 is Community: from the community of a discipline to a regional home and culture, from the shared discourse of a campus to a bookstore’s community of readers. The Association of American University Presses community uses the #ReadUP hashtag to highlight on social media the best of what our members are publishing all year long. It beautifully captures what we celebrate when we celebrate University Press Week: the scholarship, writing, and deep knowledge that is shared with the world through our books and publications. Follow #UPWeek for more news and info about the 2016 celebration! What happens when the protests end? 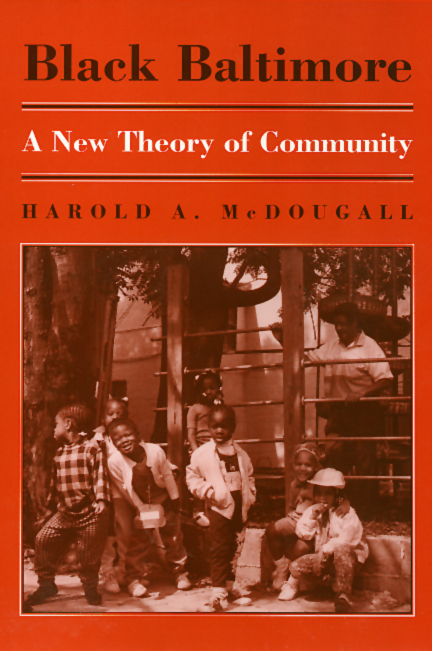 Recent events in Baltimore are a reminder of the need to build “civic infrastructure” in inner-city communities like Sandtown, the neighborhood in which Freddie Gray lived, a neighborhood I studied closely when writing Black Baltimore, more than twenty years ago. Sandtown then was home to many community-based, self-help efforts that provided examples of what participatory democracy, on a small scale, should look like. News reports from Sandtown in the wake of Freddie Gray’s death show they are still there—Rev. A.C. Vaughn’s Sharon Baptist Church, the New Song Community school, the Sandtown-Winchester Improvement Association, ”helicopter” parents and grandparents, trying to guide their kids through the maze. I celebrated the indigenous social capital of these small-scale efforts in the book, calling them “base communities” because they reminded me of the Christian study circles organized by liberation theologists in Latin America. Groups of no more than twenty, seminar-size, where people could connect, reason together, figure things out and take action. Friends and colleagues challenged my idea, arguing that while intimate and powerful, these small groups were not scaled to solve the problems they could see. Employment? Education? Police misconduct? Environmental damage? How could a group of twenty people respond to such large-scale issues? So I went back to the drawing board, trying to figure out how to take base communities to a scale large enough so they could impact the issues people in neighborhoods like Sandtown face without sacrificing the intimacy and trust that made them so powerful, so important, so precious. It was quite an undertaking, assisted by serendipity and caring people as much as by scholarship and hard study. It’s taken a long time. The process started at a National Civic League annual meeting I attended, where former U.S. Senator Bill Bradley gave a speech comparing American society to a three-legged stool. There is a government leg, a business leg, and a community leg, he said. Bradley got the audience’s attention by declaring that the government and business legs are very long while the community leg is very short, making the stool—and the society—unstable. How can community be lengthened, strengthened, so that it can balance business and government? Episodic flare-ups, through demonstrations, protests and other forms of mobilization, are not enough. Once grievances have been addressed, or the protesters silenced or co-opted, activity tends to subside. Civil society needs an ongoing civic infrastructure if it is to impact government beyond periodic elections, and business beyond individual consumer choice. But how to build that infrastructure, how to knit those base communities together? Then I met Don Anderson, a lawyer and social activist who was also an African-American descendant of Thomas Jefferson. He had come across some of his ancestor’s writing on “Citizen’s Assemblies.” The assemblies were to be sized to a Congressional district, and would select their Member through a series of caucuses. The Assembly’s most intriguing aspect, however, was its structure, and its potential to do a lot more than elect a Member of Congress. The Sandtown Citizen’s Assembly could also check businesses and banks engaging in exploitative or high-handed practices. Past examples include the boycotts and selective buying campaigns of the civil rights movement, and labor’s boycotts and public shaming campaigns. Co-ops such as those Gar Alperovitz has described [http://democracycollaborative.org/] could round out the Assembly portfolio, creating “social” businesses, micro-enterprises, and other “off-the-grid” sources of income. Protests emerging from the hassles people in neighborhoods like Sandtown face every day have erupted all across the country. These protests are, at bottom, about a political and economic system that just doesn’t care about little people until, like Lilliputians, they get organized.